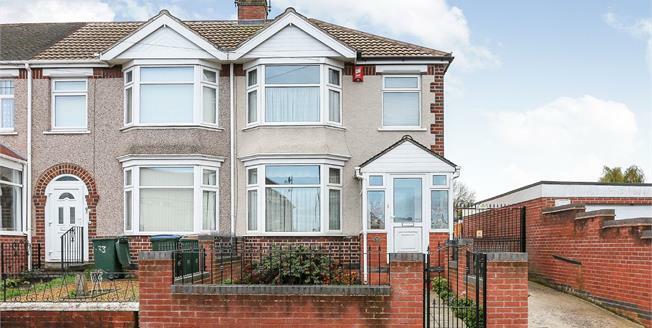 Dixons offer for sale this immaculately presented three bedroom end of terrace property. The property has been updated and well cared for by the current owners and would make a perfect first time buy. The full accommodation comprises entrance hallway, through lounge/diner, extended kitchen, sun room/breakfast room, three bedrooms, modern family bathroom, easy maintainable front & rear gardens, large double garage accessed via secure rear vehicle access. The property also benefits from gas central heating and double glazing.